I have always loved the holidays. There's just something inherently nostalgic about the entire Christmas season. I can't honestly say that it was never about the presents, I'm sure, when I was a child, that one of the main reasons I adored Christmas had to do with presents. It was also about the magic. It just seems like a magical time of the year. Looking back, I remember waking up in the wee early hours of the morning and waiting until we were allowed to go downstairs. I remember seeing all of the gifts laid out under the tree and feeling so grateful. It was exciting and fun and oh so magical. 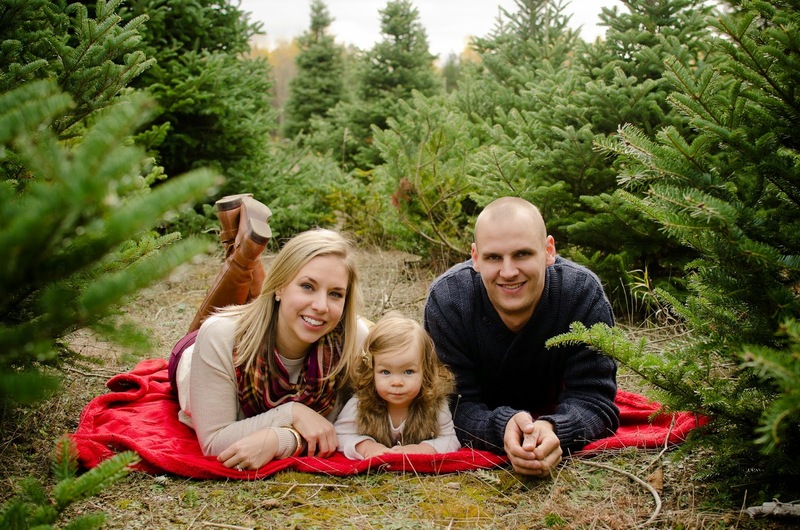 As a teen and young adult, my reasons for loving the holidays changed. I loved spending time with family and friends, getting together for delicious food and tasty drinks, and just enjoying some much needed time with the people who meant the most to me. Sure, there were still presents, but I always liked getting other people gifts more then receiving them. Anything I received was an added bonus! Things have changed again. My reasons for loving Christmas have evolved yet again. Mini-me. It's so amazing to see the holidays through her eyes. To watch her stand and marvel at our Christmas tree. To hear her recite Christmas carols and request holiday movies (by the end of this season, I will know every word to the Frosty the Snowman movie). She is still so small, only 20 months (wow, that went by fast) but yet she already understands that this is a special time of the year. She just senses something going on and the excitement from her is palpable. if you're wondering what she's doing, she's singing songs to the Christmas tree, obviously! No, it's not all about the presents, but I cannot tell you how beyond excited I am to see her face Christmas morning?! To watch her delight as she tears away the paper on her presents! And then, to dress her up and take her to visit all of our family!!! It's the perfect excuse to see all of our family in a short window of time and while it sometimes feels like a whirlwind, it's a wonderful one. I have to say, that already, this is my favorite Christmas of them all. The holidays with Mini-me just make it that much more special. It has been crazy and busy lately but I am going to make a point to slow down over the next few days and soak it all in. I want to enjoy every gift opened, every laugh shared, and every yummy bite eaten! I hope you're all able to do the same, whatever Christmas-loving stage you're at! Have a VERY VERY magical and special and merry Christmas from our family to yours. What a beautiful family photo! 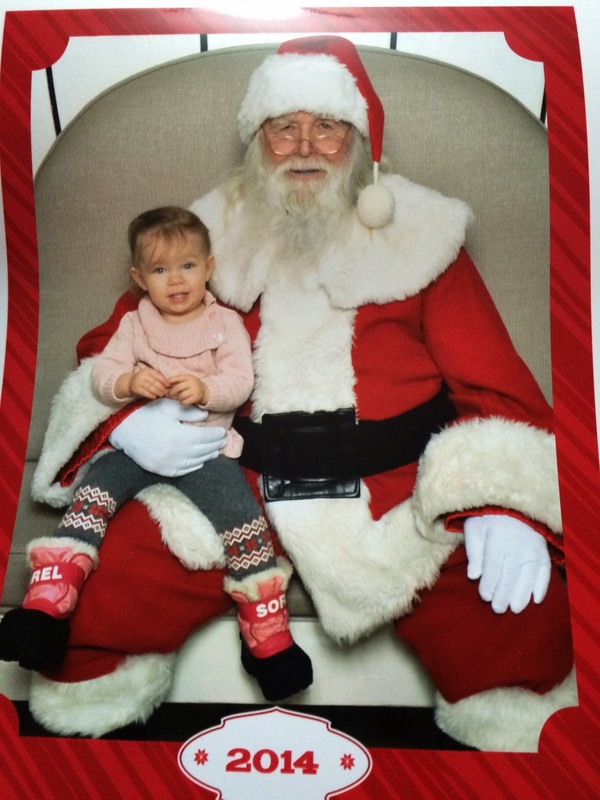 Love seeing the throwback with Santa and your daughter's Santa pictures too! Wishing you and your family a Merry Christmas! thanks Jill, hope you and yours have a wonderful one too! Great family photo! Does she ever look like you when you were little! that's why i call her mini-me!! Poor kid! So true!! My kids are 4 and 6 and each year still gets better! Merry Christmas! I love it!!! I'm sure next year will be even more fun! That family photo of y'all is beautiful! And it looks like she has a fur vest on? What a great idea to do it at a tree farm! I am trying to slow down too, so I can enjoy the next couple of days... I was so busy trying to get everything done and now it is and I can relax. Plus, I am starting to finally feel better after a nasty cold, so that is a relief, too! Merry Christmas! thanks Carrie! Yes, she's rocking the fur vest! I can't take credit for the treefarm idea, that's all our awesome photographers! Loved sharing your Christmas with you. Love mini-you's new kitchen. I have had houses and apartments where my kitchen wasn't that big or that nice! Enjoyed seeing you guys curled up on the couch. Merry Christmas. thanks Leslie!!! Hope you had a wonderful holidays! Beautiful family post!!! 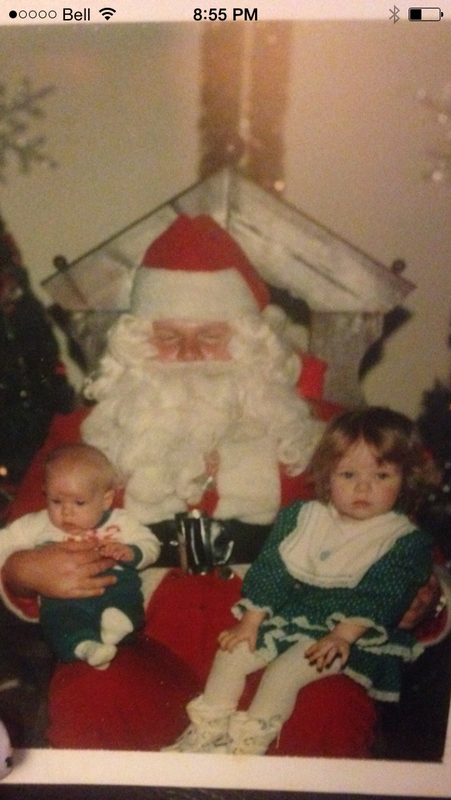 And I have never seen a happier baby on Santa's lap! She is just the cutest!! Wonderful family photo!! I hope you had a fabulous Christmas!! thanks Katie! I tried to get her excited before the trip to the mall, thankfully, it worked! !